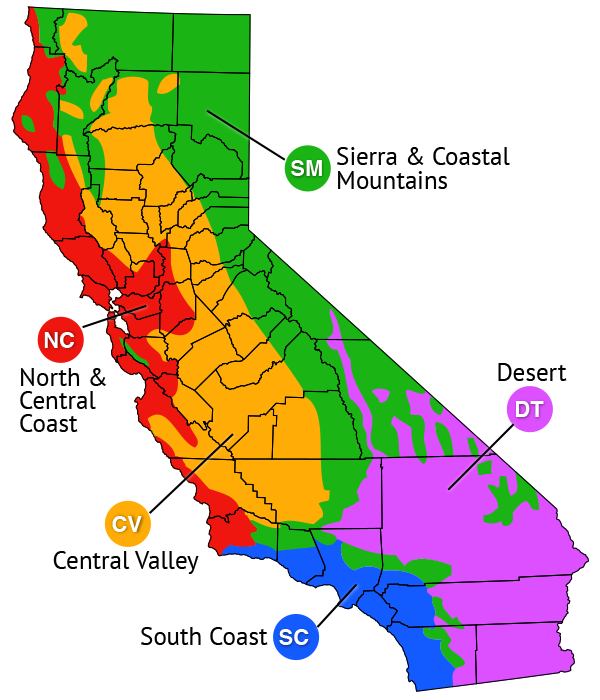 ***Note: This is an emerging invasive species in California, so the regions listed above are based on where it has the potential to become invasive based on Sunset climate zones where this plant can grow, and not where it has become invasive in California. 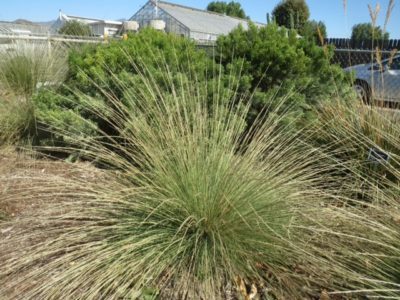 It has a Plant Risk Evaluator (PRE) score that indicates a high risk of invasiveness in California, and has been added to the list of Watch plants on the California Invasive Plant Council (Cal-IPC) Inventory. 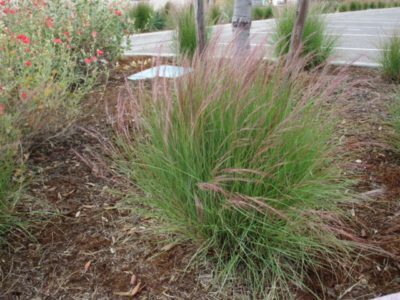 Deceptively beautiful, the emerging invasive Mexican feathergrass is a graceful, delicate and fine textured ornamental grass. It grows in a dense fountain-like clump with slender leaves that roll tightly inward so that they appear wiry. It blooms in late spring with a greenish flower cluster that persists well into fall as it ripens to golden brown. 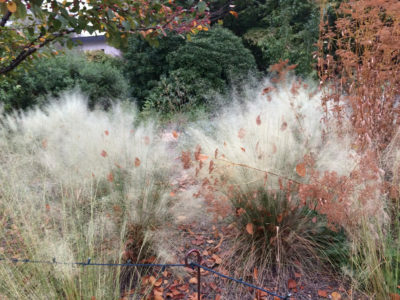 Stipa tenuissima is a great example of a grass that is native to one part of the U.S. but invasive in another. It is native to the mountains of west Texas and southern New Mexico south to central Mexico. There is also a separate native population in southernmost South America in Argentina and Chile. How does Mexican feathergrass spread? 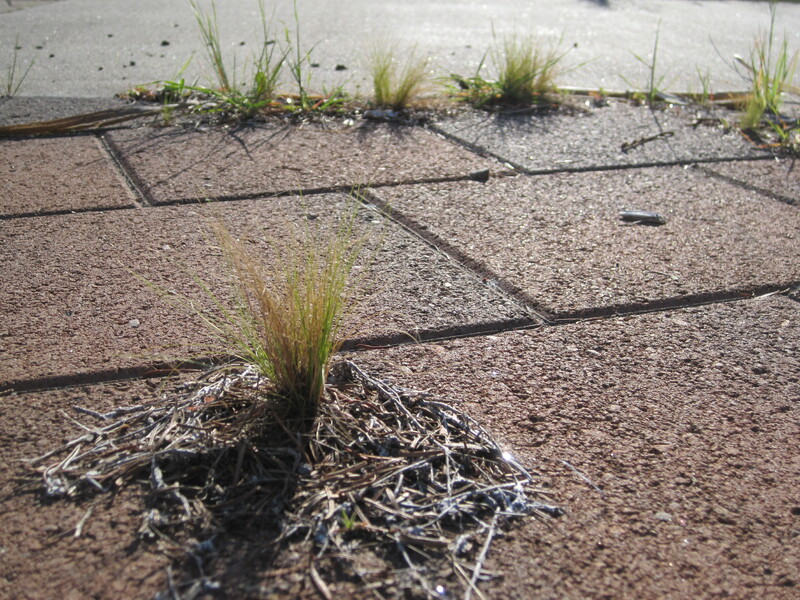 Mexican feathergrass produces 1000s of seeds, which are dispersed by wind, water or contaminated soil – as well as via automobiles and animal droppings. It self-sows just about everywhere, and especially in cracks in roads and sidewalks, making it a high maintenance plant unless you enjoy weeding. Where is Mexican feathergrass found? 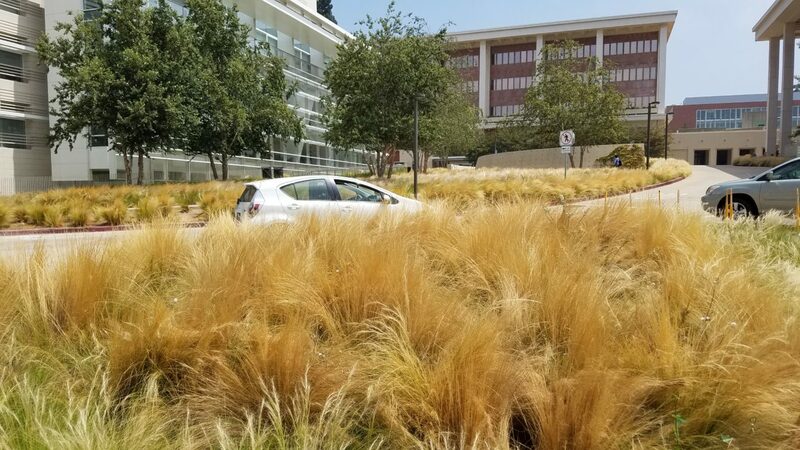 At this point Stipa tenuissima has escaped cultivation in California mostly in the North and Central Coast regions and South Coast. 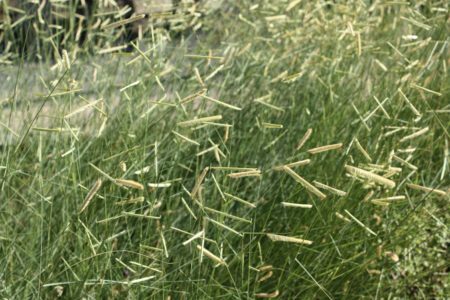 If you find Stipa tenuissima that has escaped into a natural area, please add an observation to Calflora and let us know so we can track the spread of this plant in California. 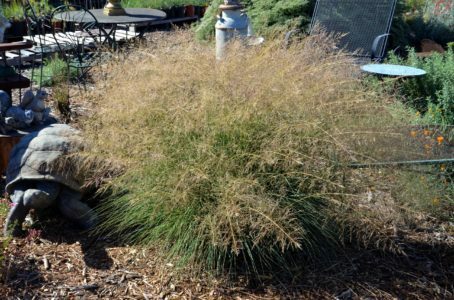 What problems does Mexican feathergrass cause? 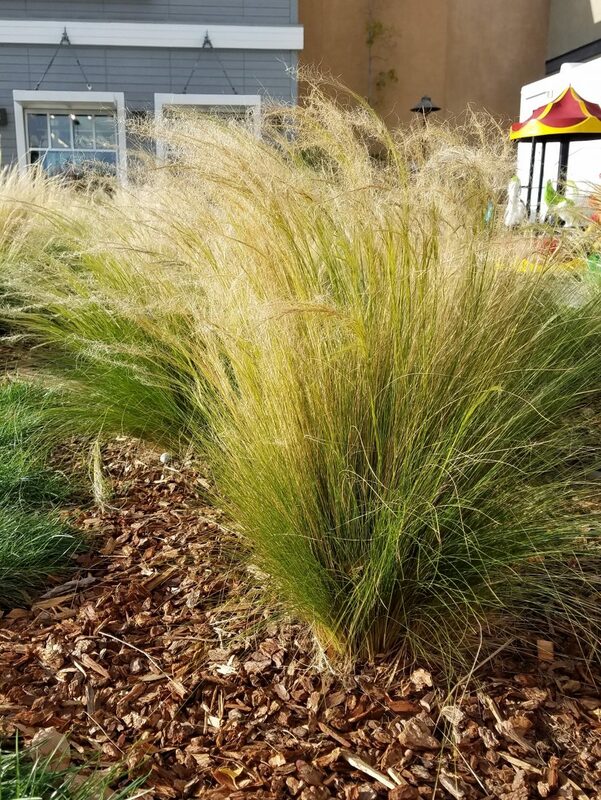 Mexican feathergrass often self-sows abundantly and may spread out of its designated place in the garden, giving gardeners more work and possibly giving your neighbors plants they don't want. It forms dense stands that thrive in dry areas, increasing the fire hazard. Fire simply enhances seeding and does not get rid of the plant. 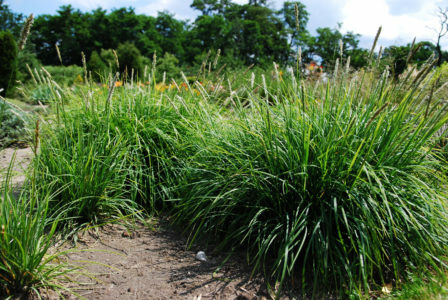 Mexican feathergrass is invasive in parts of the world with a similar climate to California, which is included in its PRE evaluation. In coastal areas of New South Wales, Australia it crowds out pasture species as well as native grasses. 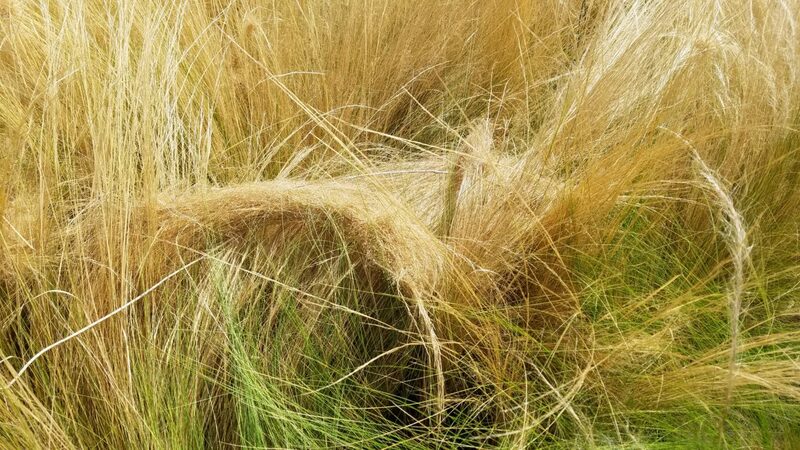 In Argentina, where Mexican feathergrass is native, it is regarded as an unpalatable grass (Moretto & Distel 1998). 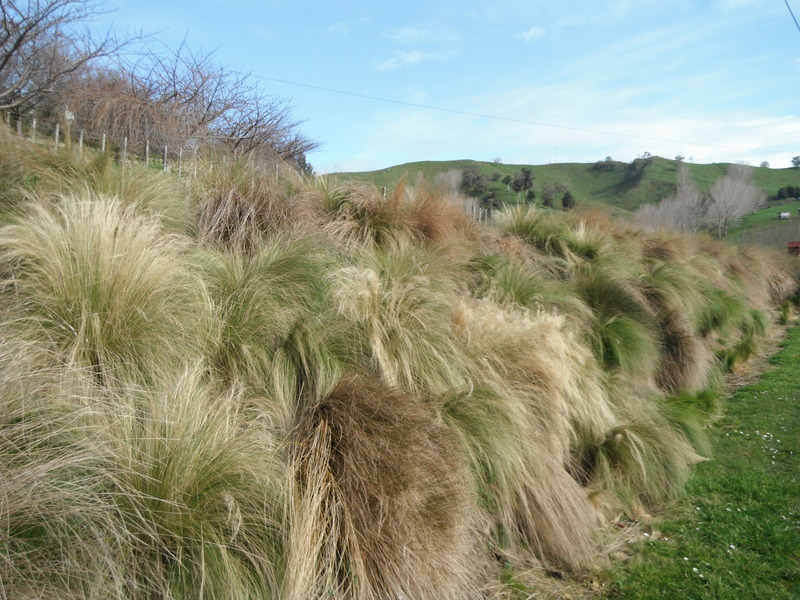 The grass forms indigestible balls in the stomach of livestock and, if they are forced to graze the infected pasture, the livestock may lose weight and die. Mexican feathergrass can become dominant under continual heavy grazing pressure with a low frequency of high-intensity fire (Distel & Boo 1995). Requirement of vegetation gaps for seedling establishment of two unpalatable grasses in a native grassland of central Argentina. Moretto and Distel, 1998. Austral Ecology.